Just a few so far -- Got a lot of nice shots today but too late to post them all. These are a mixture of Krissi and Rob's photos. 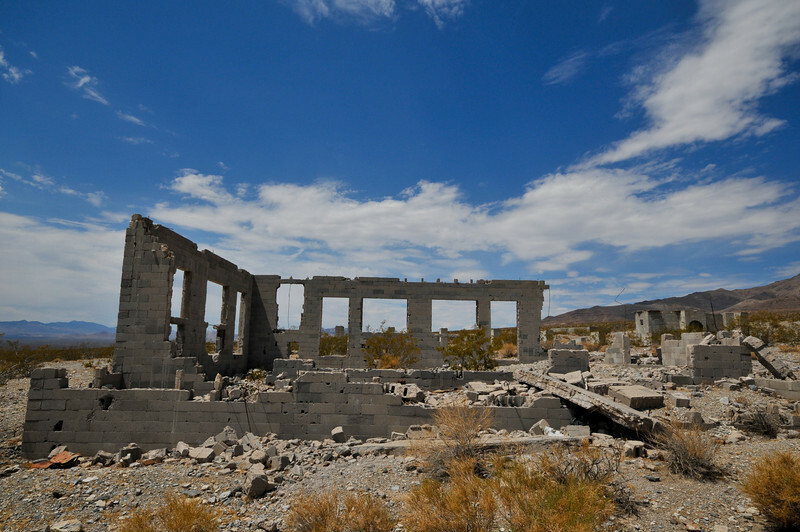 An abandoned structure on the way to Beatty, NV. This is the remains of the Elizalde Cement Plant. Built by a Filipino company in 1937 it never opened. Very often confused as the ghost town of Carrara which is one mile South of here. Mine to the East is the Gold Ace Mine.